Richard Webb is a veteran of a high-flying career in media trading that took him from an advertising agency buyer to managing director at Mirror Group Newspapers. He left in 2008 to set up a media consultancy and a manufacturing business (ShirtStar). 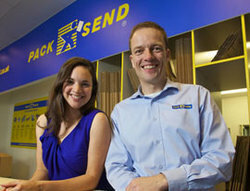 In November 2011 he started a Pack & Send franchise in Richmond. Life in a PACK & SEND store is never dull! Our retail stores specialise in the packing and international and domestic shipping of items that are fragile, large, awkward or valuable and we are proud of our claim to be able to send anything anywhere. From 12th century Tang dynasty vases to Mars Ice Cream bars to relocating a complete laboratory to the US; our stores have yet to receive a request that they could not provide a packing and shipping solution for. 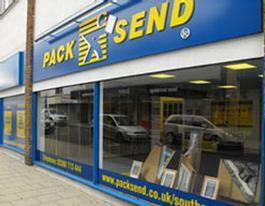 So if you are looking for busy days that are always different, then PACK & SEND could be for you. 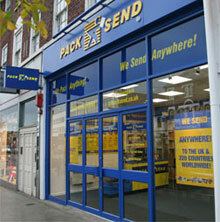 PACK & SEND is very different from a simple courier or shipping company. Our store-based one-stop shop for collection, packing and delivery to anywhere in the world is unrivalled in the UK and used by individuals and businesses alike. We are specialists in providing professional packing solutions and delivery, courier and freight services to small and large businesses. Whilst there is no such thing as a typical job; we are often handling artwork or antiques, eBay buyer and seller shipments, visiting tourist's needs, moves for international students studying in the UK, and even householder's bespoke shipping requirements. We also arrange partial house and flat moves or temporary office moves and our international removals service can be tailored to your needs. 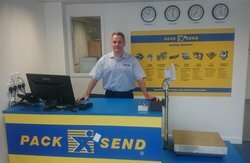 Though PACK & SEND are still relatively new to this country, we have already made our mark in the marketplace and we are fast being recognised as the leading packing and shipping specialists in the UK. That is not to say that we are a start-up business! In our native Australia we are a national brand who has been operating since 1993 with over 120 stores, and our annual freight volume there makes us the third largest shipper in the market. We are currently searching for budding entrepreneurs or those looking for a fresh business challenge. Sound like you? If yes, why not immediately download our FREE and non-obligatory franchise prospectus here to find out more. Why choose a PACK & SEND franchise? PACK & SEND combines the early adopter benefits of a relatively new opportunity with the confidence of a proven business model. 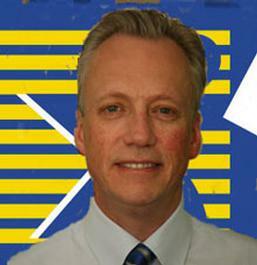 Our franchisees run their own store helping to meet the sometimes complicated and unique needs of customers. 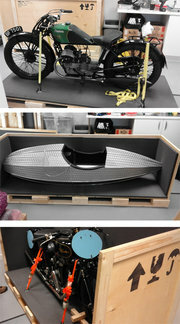 Whether it’s an artist sending valuable work to a buyer abroad, a data centre moving fragile server units, a trader shipping classic car parts, a grandfather clock collector’s latest purchase or simply somebody’s personal effects for shipment, our customers are continually challenging our promise that we send ‘Anything, Anywhere!’ So, if you like a business where no two days are alike, then PACK & SEND is for you. With well over 20 years of growth since our launch in Australia, higher UK sales than ever before and virtually no direct competitors, we are proud of our unique business proposition. We are accredited by the British Franchise Association (bfa) and we have previously been Australian Franchisor of the Year. With sales through the UK store network growing faster than ever we are keen for more high-calibre candidates to join our team! PACK & SEND provides all franchisees with comprehensive introductory training as well as ongoing support to ensure you have all of the tools and resources to hand that will aid you in the day to day running of your business. Our team is always right behind you and will be happy to assist with any queries, concerns or opportunities that you may need support with. We will even work in your store with you at the start of trading to help you build a rewarding and successful business! Who’s ideal for PACK & SEND? AT PACK & SEND we are looking for high quality team players who are supportive and collaborative in their approach to work. Our Franchisees come from a broad range of backgrounds though the one thing they all share is a passion for helping people and creating long-term business relationships. We have exiting franchisees who have joined the PACK & SEND franchise opportunity from having owned and run a McDonalds Restaurant and Domino's Pizza Franchise, to a member of the HQ managment team of another global franchise. We also have current business owners, former corporate managers, previous blue-collar workers and Forces leavers amongst our growing team of franchisees. If you have the qualities and skills to become a successful PACK & SEND franchisee, then we want to hear from you. By filling in the form below you will be able to download a copy of the PACK & SEND prospectus.